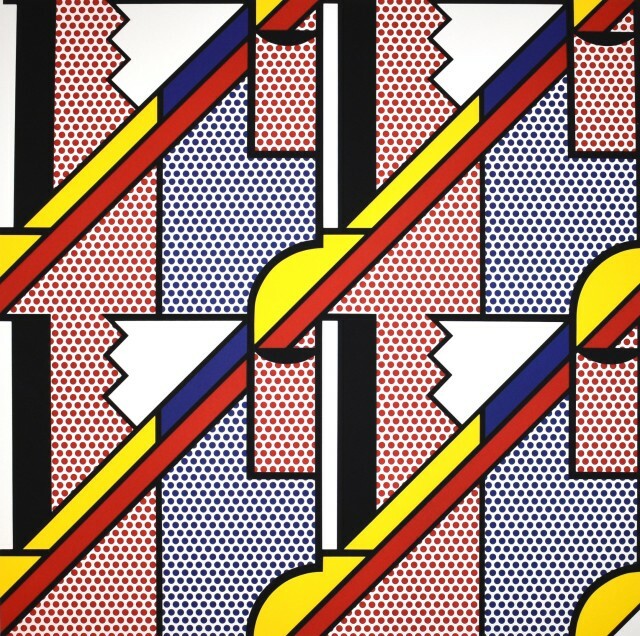 Roy Lichtenstein was born in 1923 in New York. In 1939 he studied under Reginald Marsh at the Art Students League of New York, and the following year under Hoyt L. Sherman at the College of the Arts at Ohio State University in Columbus. He served in the army from 1943 to 1946, after which he resumed his studies and was hired as an instructor. He obtained an MFA in 1949. In 1951 the Carlebach Gallery, New York, organized a solo exhibition of his semiabstract paintings of the Old West. Shortly thereafter, the artist moved to Cleveland, where he continued painting while working as an engineering draftsman to support his growing family.